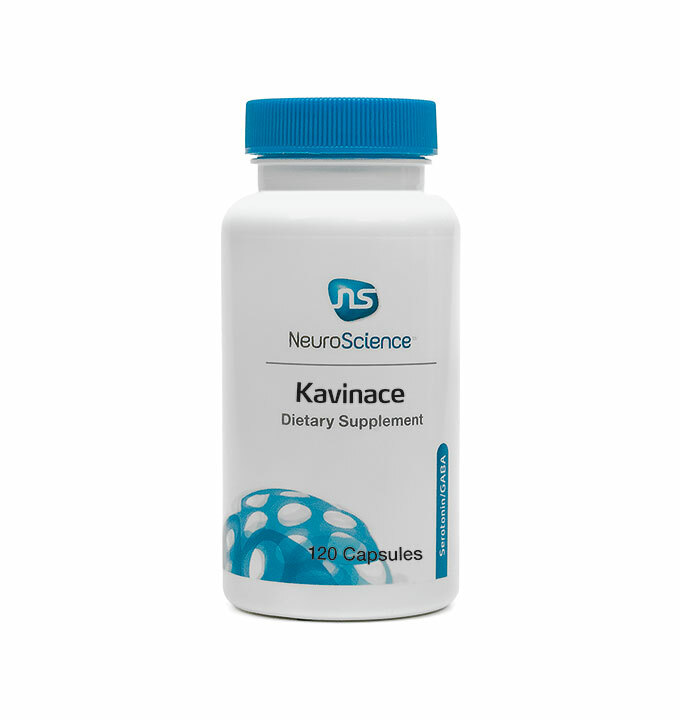 Kavinace contains a blend of ingredients involved in the synthesis & activity of GABA levels. GABA is a non-essential amino acid which functions as an inhibitory calming neurotransmitter which means it regulates brain and nerve cell activity by inhibiting the number of neurons firing in the brain. GABA has a natural calming effect to promote relaxation and ease nervous tension. Vitamin B6,pyridoxal-5-phosphate is included in Kavinace as an important cofactor for the synthesis of GABA, as well as other enzymatic pathways. Vitamin B6 literally controls the amino acid absorption, metabolism & transformations in your body. It also directly participates in carbohydrate & fat metabolism, as well as the formation of red blood cells & antibodies. It is necessary for the absorption & utilization of certain minerals & is required for the proper functioning of over sixty enzyme systems in our bodies.